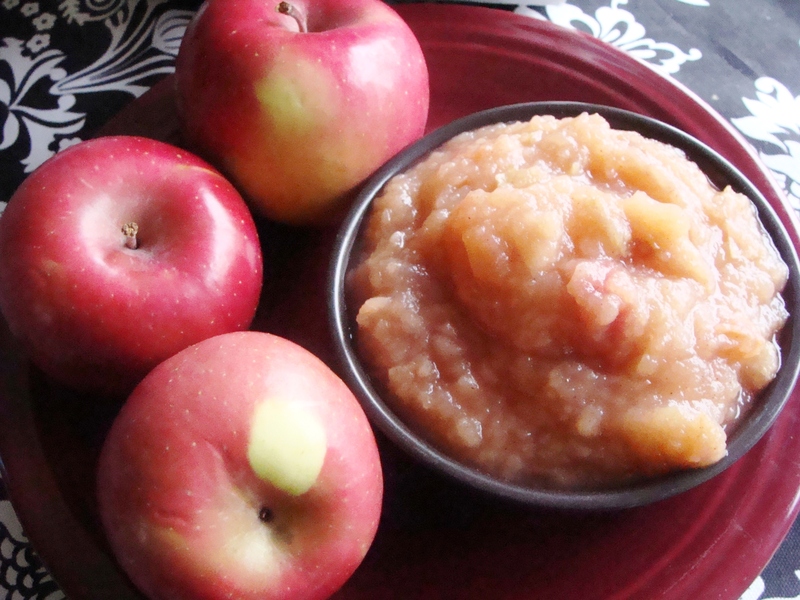 I can’t believe I waited so long to make homemade applesauce this year! 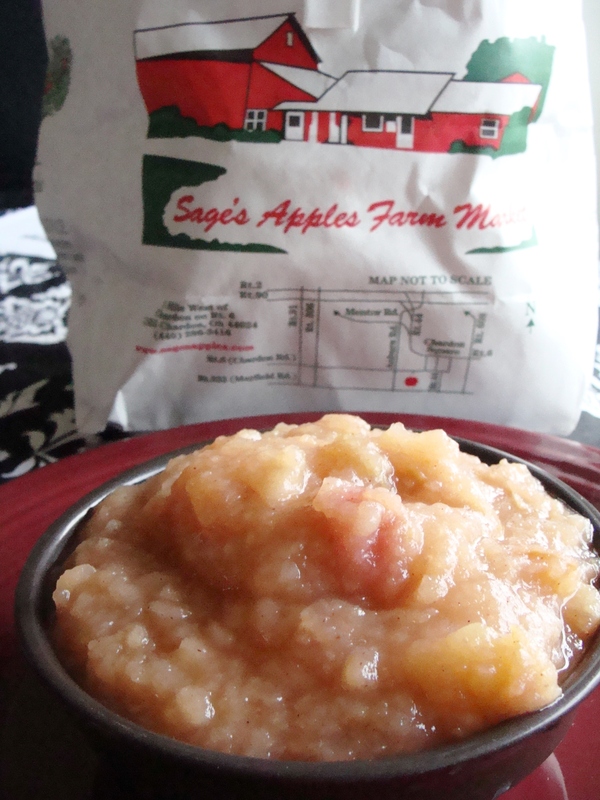 We’re lucky to live very close to Sage’s Apples in Chardon–our fridge is fully stocked with a variety of apples! I used Spy apples from Sage’s for this sauce. I don’t believe there’s an exact science to applesauce making. The key is to taste as you go, and add more flavoring as needed. I don’t like my applesauce to be super sugary. I did not peel my apples, because I love the red coloring the skin gives the sauce. That is the way my Grandma has always made her applesauce. 🙂 But if you prefer, peel your apples, then core, slice, and quarter them. Put apple pieces in a large soup pot, over medium heat. Add 1 cup of water, 1 tablespoon of lemon juice, and 1/2 cup of sugar. Let the apples heat, stirring with a wooden spoon every 5 minutes. You just want to move the apples around, so they don’t stick to the bottom of the pot. After about 40 minutes of cooking, the apples should be ready to mash. I used a potato masher. If you prefer, you could puree the sauce in a blender (or use an immersion blender), but I prefer the sauce slightly chunky. After I mashed the sauce, I added 1 tablespoon of cinnamon. If the sauce isn’t sweet enough for your liking, add more sugar or cinnamon. Let the sauce cool, then refrigerate. « grilled Greek chicken gyros. 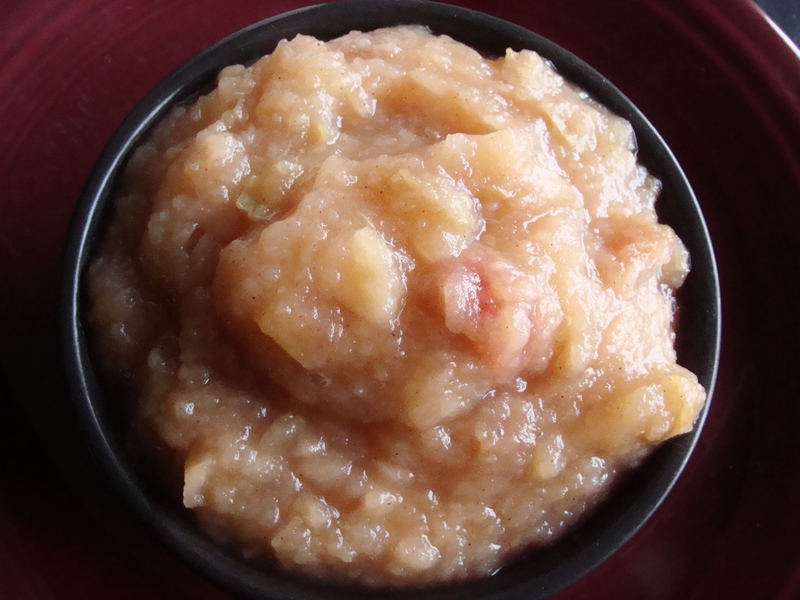 You are currently reading homemade applesauce. at The Cheesy Kitchen.